I really enjoyed the experience. 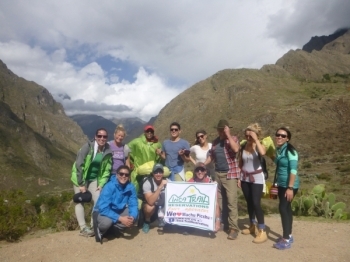 The guides were great and helped me achieve my dream of experiencing the inca trail and visiting Machu Picchu. 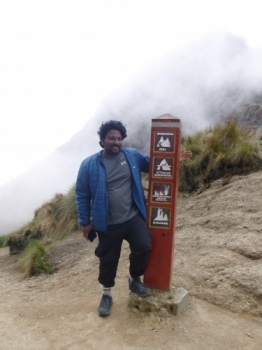 Despite the fact I had altitude sickness great experience . 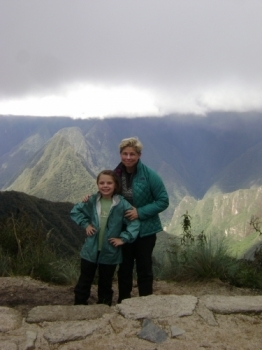 Amazing guides , they are always outstanding with each of us . Very good, really enjoyed my experience. Very good guides. Happy to have compleated with such a nice group of people. 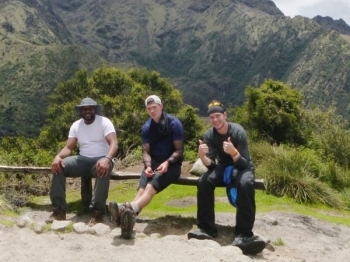 Good food and fun hiking. Would defiantly do again. We came in December and the weather was perfect. The deed woman summit was very dificult , but i did it . 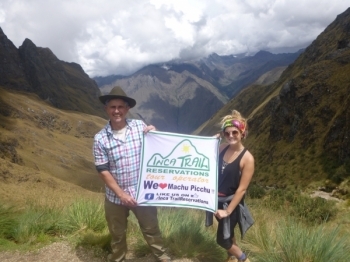 I high recommended this tour operator Inca Trail Reservations !!! . . . 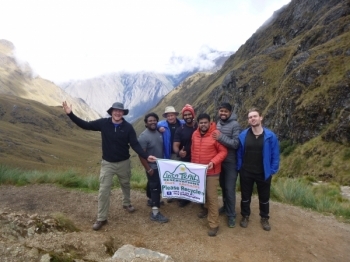 The porters , cook and the guides were helpful, the food is good and varied . The guide Raul had knowledge about the histories Inca .He is great great . The trek inca trail was great they helped coordinate all aspects of the trip , They provided a briefind prior to our trek which ensured that we had all the last minute detail, they cordinated pick up from our hotel as well as the bus ticcket after the trek and the train ticket back to cusco . 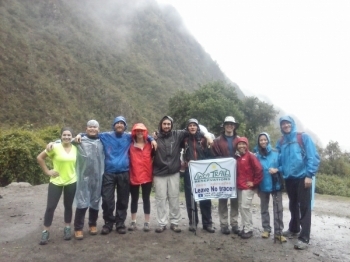 The Inca Trail was incredible , the hike was an adventure exceptionally well organized , but , fairly challenging but the four day hike through absolutely beautiful . 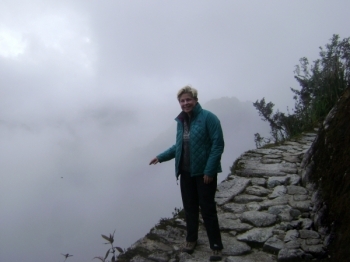 The guides know almost every thing about the trail and history. The food is very good. This company was great they made sure to arrange transportion for us which was included in the total price the food provided on the trek was excellent . 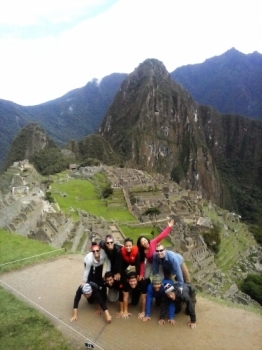 Machu Picchu is a true South American icon.inspires many around the world to get South American experience. Trip started with the delay but the adventure started as soon as we crossed the bridge. 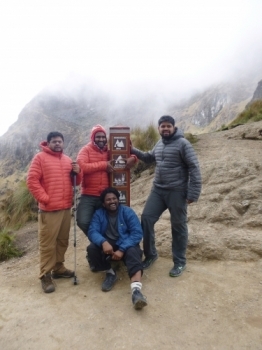 The first day was easy but second day we had to cover more length but our co hikers made sure no man leave behind. 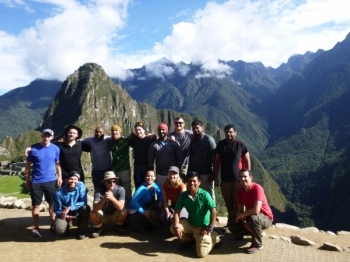 The trip was more awesome and had a great experience with the guide and the team . 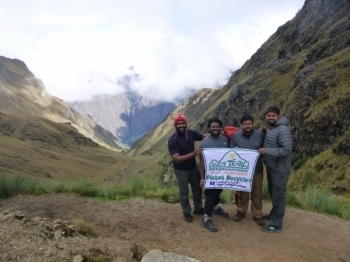 Real friendly team and hiking experience altogether . This is one of the most adventurous trip I have ever had in a long time. It was most strenuous but at the end of the trail, when we saw the sun gate all those pain just melted away. Experience was amazing. It started off with helpful online agents that you could chat with on the internet and then got even better with the tour guides. 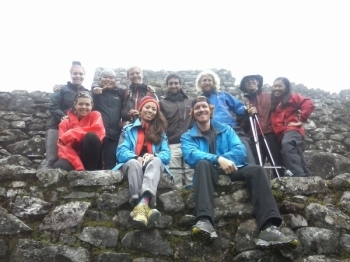 Hiking The inca Trail was one of the hardest physical activities, i have done in my life. 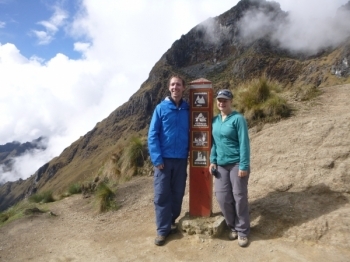 Hiking the trail was especially easier with the help of our two guides, Juan Carlos and lisset. We learned The powerful les son of perseverence by conque ring Dead Woman Pass in 7 hours.